Remember when titles would regular publish the Obituary Of The Record Shop? Well, it seems those days are over. Vinyl sales are holding fast, with two brand new record shops opening up in East London during the same weekend. 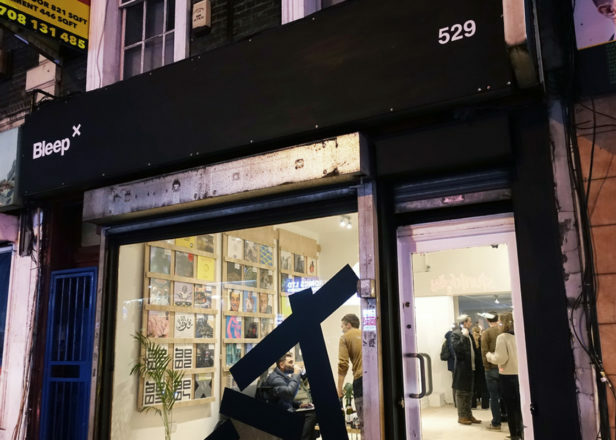 Digital distributors Bleep have dipped into the physical realm, opening a shop at 529 Kingsland Road. Open seven days a week until February 6th, it will echo the site in offering cutting edge elements from club culture, rap, and more. Just down the road in Bethnal Green music fans can peruse the racks at World Of Echo, a new venture on 128 Columbia Road. Containing new, used, and rare vinyl, World Of Echo will open between Thursday - Sunday, and will host a number of special in-store events.